In a chaotic bid to reunite separated migrant families by Thursday’s court-imposed deadline, an adult-only detention center in deep South Texas wound up keeping children overnight and later held their parents in a bureaucratic limbo where they were denied access to phone calls and medical care, sources and advocates told The Texas Tribune. 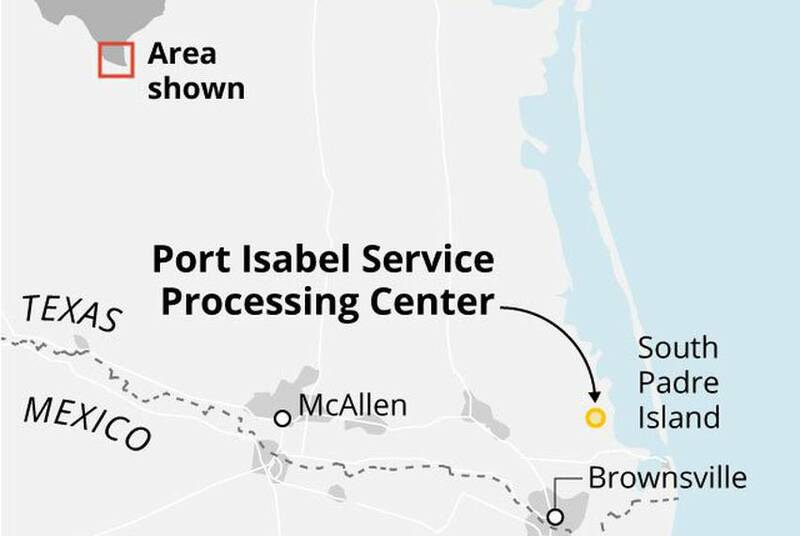 The Port Isabel Service Processing Center, designated a primary “reunification and removal” site, also went on lockdown for several hours Sunday after losing track of a male migrant, according to two lawyers and a Salvadoran woman released from the facility Monday. 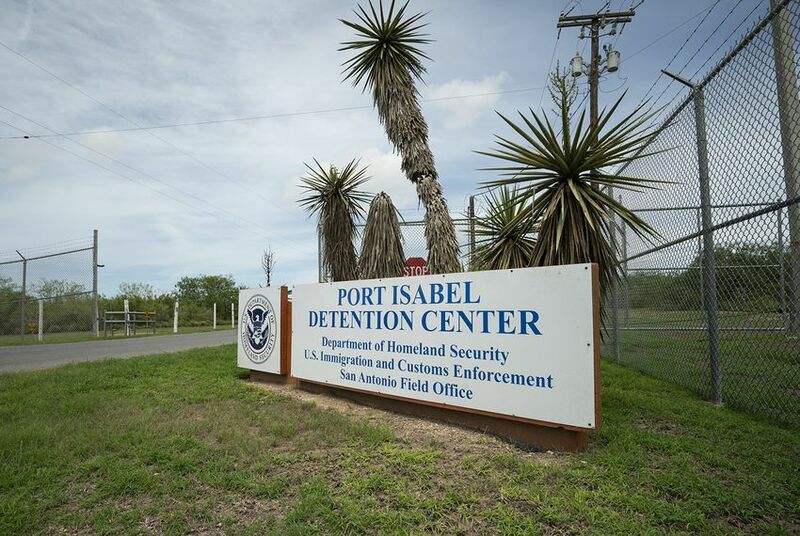 A U.S. Immigration and Customs Enforcement official confirmed that processing delays in mid-July “resulted in some children staying overnight” at the Port Isabel detention facility, which is not designed to hold minors. “No child has spent more than a few hours waiting to be reunited with their parents” since then, the official said. The government is under a court order to quickly reunite migrant families who were separated at the U.S.-Mexico border after a federal “zero tolerance” policy was announced in April and unleashed a torrent of bipartisan criticism. The policy has been temporarily suspended, but different arms of the government’s sprawling bureaucracy are now racing to comply with the July 26 deadline set by a federal judge in California. The chaos surrounding the reunification process at Port Isabel underscores the complex planning and coordination required to put separated families back together — even a month after President Donald Trump abruptly ended the practice with a hastily crafted executive order. A Monday court filing shows the government has reunited more than 870 of the roughly 2,500 migrant families split while the “zero tolerance” policy was in effect, with about 400 of those reunions taking place on Friday, Saturday and Sunday. The source said the situation reached a head this weekend, when children sent to Port Isabel were turned away and had to spend the night with their caregivers in a local hotel. The source, speaking on condition of anonymity for fear of retaliation, said ICE simply could not process the reunifications fast enough to avoid the logistical snafus. “They got over to Port Isabel and ICE told them we’re full — we can’t take anymore,” the source said. Carl Rusnok, an ICE spokesperson, did not answer a specific question about the allegation, but said in a statement that federal agencies are "working tirelessly to reunite parents and children" and have been "actively engaged in managing the logistical challenges these large-scale transfers present." In the meantime, migrant parents at Port Isabel have been waiting for days — many of them cut off from the outside world in a bureaucratic limbo that lawyers and advocates say began last week at the facility. Given back their regular clothes and no longer considered detainees, parents awaiting reunification were stuck in a holding pattern that left them stripped of recreational time, access to phone calls, even towels and medication, according to interviews with advocates and migrants. Claudia and her 7-year-old son, Kevin, on July 23, after they were reunited earlier that day. They had been separated since late May. Claudia said dozens of women were held with her in a large room where their only exposure to the outside world was a "window in the door." On Wednesday, they were given civilian clothes and told they would soon see their children, she said; instead they remained detained at the facility — just without their issued uniforms and the official designation of a detainee. Claudia said the women were still allowed to bathe, but their towels were taken away and they were not given a change of clothes, forcing some to rewear undergarments and other clothing for up to five days. Many of the women, Claudia said, resorted to hand-washing the plain white t-shirts issued to them at the facility. “They said they didn’t have to give us towels,” Claudia recounted in a phone call Monday. A few mothers left last week, two or three per night, Claudia estimated; but the pace of their departures quickened in the early hours of Monday, when about two dozen were released at once — including Claudia. She said she was discharged from the facility with a packet of documents, all in English, a language she does not speak. Carlos M. Garcia, a local attorney, heard about the limbo the migrant parents were in from a client held at Port Isabel, who had been surprised to run into an old cell block mate she thought had been released days before; the woman was dressed in plain clothes and “indicated that she was waiting in a waiting area with no access to making phone calls but that she didn’t know when she was going to get out,” Garcia said his client told him. Haley Sweetland Edwards of Time magazine contributed to this report.